Again one is inclined to respond to the utterly baseless statement by the soon to be retired politician and Chairman of the People’s Democratic Party, Mr. Felix Obuah, and released by his multi-purpose aide, Jerry Nedaam. This time the PDP chairman is spreading falsehood to the effect that the Accord in Rivers State is not campaigning. Even when the statement is untrue, and all know it so, sane minds would shudder that a party Chairman worthy of his office would bother himself about the political activities of a rival party. As politicians, we understand the worries of Mr. Obuah. 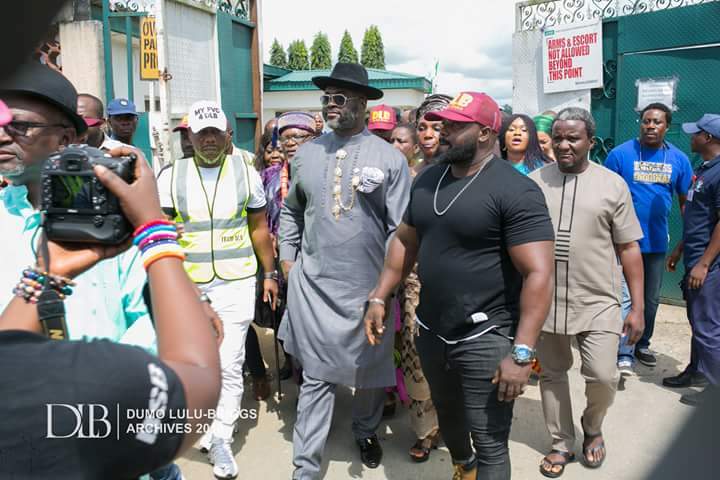 We sympathize with him because of his promise to his boss that he would stop Chief Dumo Lulu Briggs from the governorship election on Saturday, March 2nd has failed. The fear of Felix Obuah and his principal is that the Accord governorship candidate, Chief Dumo Lulu Briggs will defeat the PDP candidate clear and square. Mr. Obuah is aware that the Accord revolution is massive, sweeping across not just the Orashi region, where hundreds of PDP members are joining the Accord. The PDP should focus on their crowd renting campaigns while we reach our people and let’s meet at the polls on March 3rd. Next articleSenator Mao Ohuabunwa commission Umunnekwu Agbo healthcare center, Ahaba Imenyi modern convenience center and Obinolu Ngodo water Scheame.